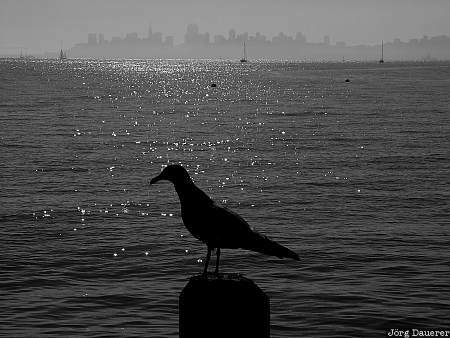 The hazy skyline of San Francisco with a pigeon in the foreground seen from Sausalito. San Francisco is at the Pacific coast of California in the west of the United States. This photo was taken in the morning of a sunny October day in 2002. This photo was taken with a digital camera.